Keep winter wheat potential on track this season to make the most of decent grain prices and crop growth, says agronomy firm ProCam. As crops reach important input timings, latest figures from ProCam 4Cast, the company’s annual big data analysis of the impact of agronomy on crop output, revealed that even in the low disease pressure season of 2018, fields receiving greater fungicide investment still achieved higher yields. This mirrors the long-term trend seen over the previous six seasons, Mike Thornton, the company’s head of crop production, explains. “Certainly growers shouldn’t be overspending on inputs,” stresses Mr Thornton. “But with feed wheat prices recently quoted at around £140/t from harvest 2019, there is decent margin potential in this year’s winter wheat, particularly as the mild winter didn’t hold back crop growth. “In 2018, increasing from three to four fungicide applications for farms on ProCam 4Cast resulted in an average winter wheat yield increase of 0.32 t/ha – from 8.59 to 8.91 t/ha. For grain at £140/t, that equates to an additional £45/ha income from an extra fungicide investment of £23/ha. “As always, the secret to getting the best return on investment from inputs will be to tailor them to the needs of individual fields. What is crucial is to not let inputs drop excessively below the economic optimum. In particular, Mr Thornton says growers mustn’t be lulled into a false sense of security by the low disease pressures of last season. Future disease pressures are always unknown at the time of spraying, he says, and with the ability to cure our main disease of Septoria tritici now largely lost, excess trimming of T2 fungicides could result in unrecoverable yield loss if disease is allowed to get out of hand. “Something to remember is that SDHI and strobilurin fungicides don’t just provide activity against various diseases. Field observations show they also provide physiological benefits – such as improved drought tolerance and reduced crop stress. This gives a level of reassurance in extremes of weather. “Tank-mixing a micronutrient + biostimulant treatment with fungicides is another way of enhancing crop health. 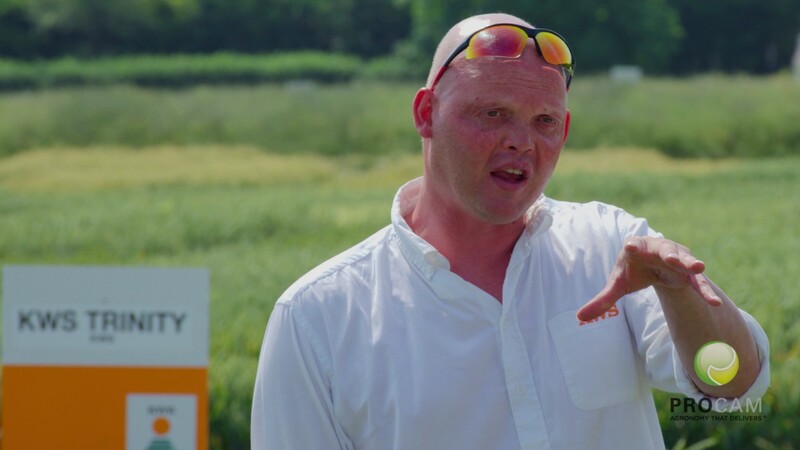 Independent trials plots we commissioned in the droughted conditions last season showed an average yield boost of an extra 1.7 t/ha from a micronutrient + biostimulant programme on top of the yield from a full fungicide programme. “The average yield boost the previous season was lower, at 0.54 t/ha, but was also very worthwhile,” Mr Thornton concludes.